New York State just can’t quite face the fact that until it deals with high poverty schools, its weakest performing schools cannot be turned around. On the one hand, Gov. Andrew Cuomo, the State Ed department and the Regents have acknowledged this year that we have two school systems – one for the rich and one for the poor. They have endorsed efforts to achieve socio-economic integration across district lines (the Rochester City School District has submitted to Albany three grant requests, each aimed at integrating high-poverty schools). On the other hand, the just approved state budget calls for a state takeover of 18 underperforming schools (including four in Rochester) unless their districts can turn them around – which, of course, they cannot. So prepare yourself for more Albany attacks on administrators and teachers for their inability to fix schools that Albany (and the entire education research establishment) knows cannot be fixed without integration. 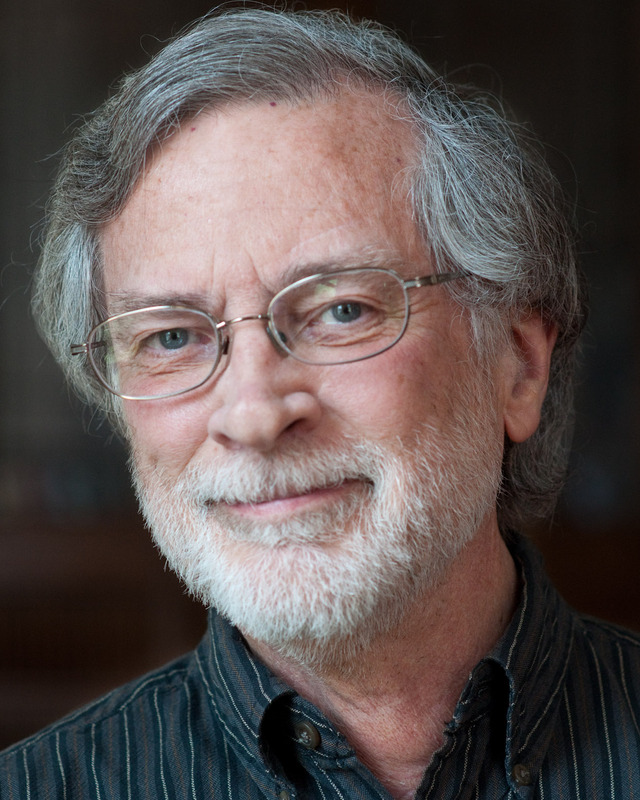 Semuels explains that in the early 1970s Detroit and Louisville faced similar problems with high poverty, racially isolated and underperforming urban schools. An integration plan in Detroit was famously overturned by the US Supreme Court, but Louisville found a way to integrate, as did several other (mostly Southern) urban communities. High-poverty districts that failed to integrate, Semuels writes, face “growing inner-city crime, low academic achievement levels for black children who live in the city, and a hollowing out of the city by middle-class families.” Sound familiar? 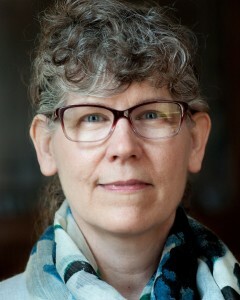 With a city-suburb integration plan, Louisville slowly built a school system that affords every child an excellent school (although, as she notes, there was initial opposition to the plan, and there continue to be parents who are dissatisfied that their children cannot always attend their first choice of schools). The Louisville plan engaged the larger community in the struggle for educational equity, which is just what upstate New York cities must do. Early on, Semuels says, “Thousands of protesters rallied against busing at the district’s schools, protesting and vandalizing police cars until the governor called in the Kentucky National Guard to supervise buses for the first few days. But something strange happened as the integration plan continued. Many of the residents’ fears failed to materialize, and after a few years the protests ceased. I do not wish to suggest that socio-economic integration is a magical formula that delivers an instant fix. It is, more accurately, an essential condition for real equality of opportunity and the steady improvement by students who otherwise would be very likely to fail. And, there are secondary benefits – quite apparent in Louisville, and absent in Detroit. Samuels cites Genevieve Siegel-Hawley, who conducted a study comparing housing segregation in four cities that had different school-integration policies. “When parents decide to buy a home, they often make choices based on neighborhood schools. This has an effect on home prices: One Connecticut study found that buyers were willing to pay $7,468 more for a house near a less diverse school. But parents in Louisville know that whether they buy a house in the city or the suburbs, their child will go to a school that has similar resources—and racial breakdown—as other schools in the district. Will New York start to see the wisdom in Louisville’s choices? For 50 years, the Urban-Suburban program has been this community’s only path to racial integration of schools – providing an opportunity for minority students from Rochester to attend a suburban school. This is a good thing – a very good thing – both for city students who escape high-poverty schools where their chances for success are slim, and for the suburban students who experience the diverse world that awaits them after high school. This spring four new districts (Spencerport, East Irondequoit, East Rochester and Hilton) voted to join the program. Come September 2015, 11 of 18 suburban districts will be participants. This change is not without opposition, as Pittsford Sutherland junior Chyna Stephens, a city resident and Urban-Suburban student, discovered when she attended a contentious hearing in Spencerport. The good news is that Urban-Suburban enrollment, now just under 600, will grow substantially – and other districts are said to be interested in joining next year. Even better, Urban-Suburban leaders say they will no longer focus exclusively on race in selecting participants, but will also consider socio-economic status. This is an important change that should help the community focus on the devastating effects of poverty on education. 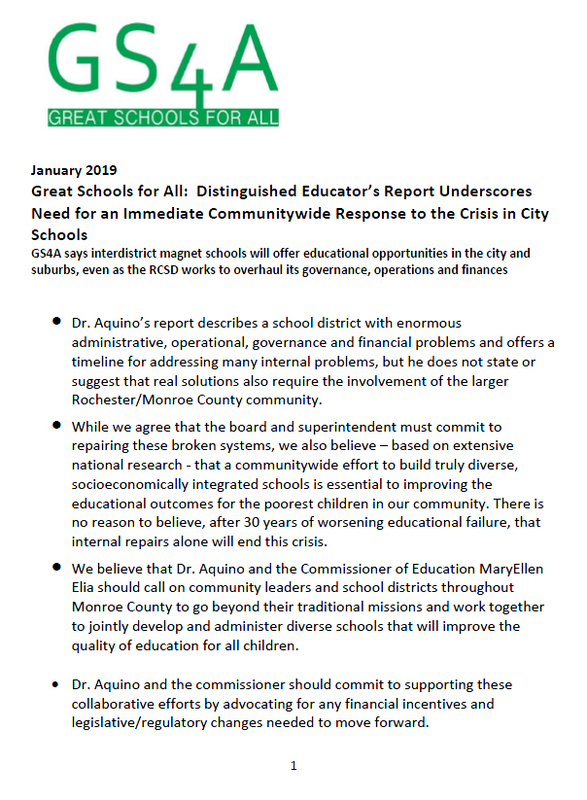 GS4A is committed to socio-economic integration that ultimately results in the elimination of high-poverty schools (those with a free and reduced price lunch population of 40 percent or more). Not a single city school has a poverty population under 60 percent. Urban-Suburban is an important part of the solution, but its expansion will not, by itself, solve the problem of high-poverty schools. It is unlikely Urban-Suburban will ever be large enough to achieve that goal – even if the city and suburban districts are able at long last to find ways to attract suburban students to unique city programs. Urban-Suburban, however, is a model for additional city-suburban interdistrict agreements. Those offerings could include countywide magnet schools (open to all students, but with a cap on the number of low-income students), one-to-one partnerships between city and suburban schools, early college schools in each quadrant of the county, etc. 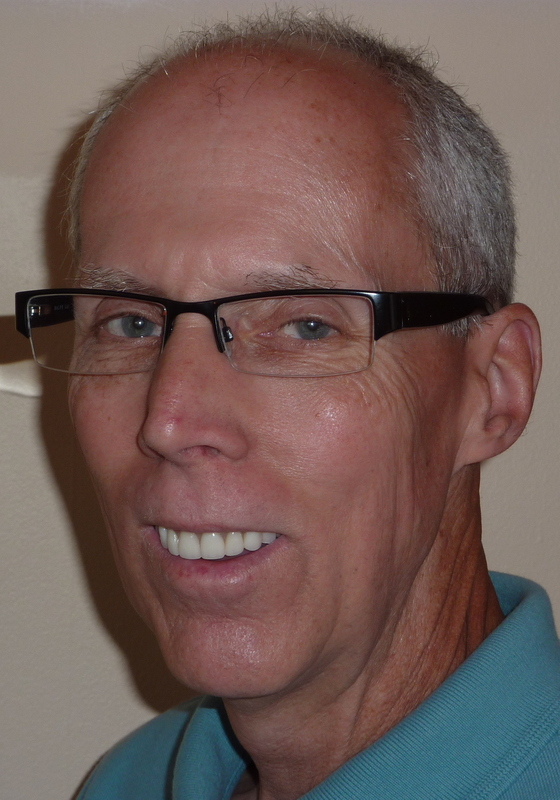 We face a huge challenge, one that can only be met with a package of creative and expansive strategies. 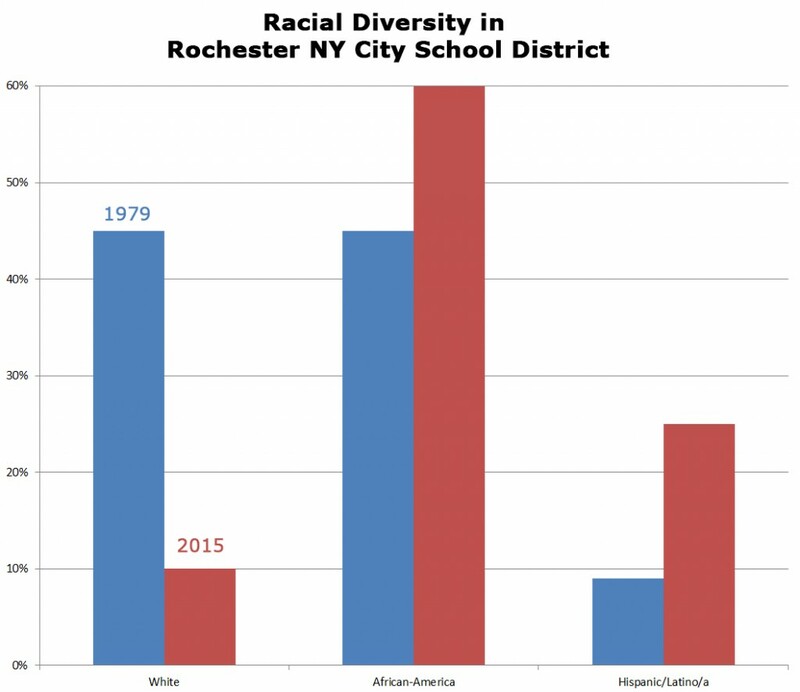 The expansion of Urban-Suburban (the first year with more than one new participating district in decades) suggests that our community may finally be ready to make sure that even the poorest students in Rochester have access to a great school. Please join participants from a broad section of the Greater Rochester community on May 5, 2015 to build consensus around action steps to reduce the concentration of poverty in the Rochester city schools. 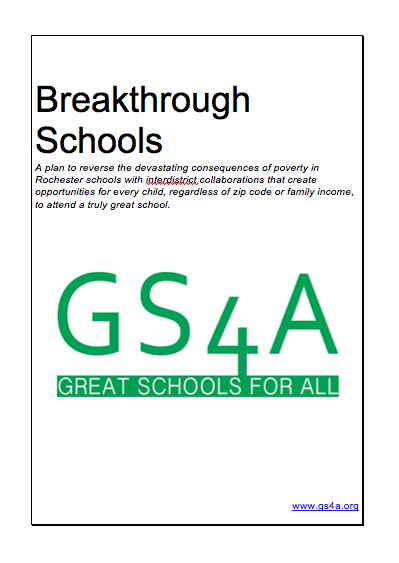 The GS4A Coalition is looking for partners in progress as we build on work begun at our November 2014 conference, and continued by six working groups formed to develop possible responses to the crisis of high poverty schools. Questions: Email or call Lynette Sparks or John Wilkinson at 585-271-6513.